Job Title-HIAB/Grab Driver Salary-£80-100 per day Location-Leeds The Opportunity We are looking for a HIAB Driver with NRSWA to work for one of the world's leading Telecommunications companies. Working full time directly for the client paying £80-100 per day, 45 hours 5 days a week. You will be working on a large, multi-million pound project for the company. You will hold the NRSWA accreditation and HIAB license and have experience of civils work in the utilities sector. We are looking for a HIAB Driver with NRSWA to work for one of the world's leading Telecommunications companies. Working full time directly for the client paying £80-100 per day, 45 hours 5 days a week. You will be working on a large, multi-million pound project for the company. You will hold the NRSWA accreditation and HIAB license and have experience of civils work in the utilities sector, preferably on the telecoms network. Ideal for any individuals with experience driving HIAB/Grab Drivers. #Complete work that meets the required quality standards. #Complete work to the agreed time scales. #Comply with Health & Safety standards. #Will hold an in date HIAB license. #Will hold the NRSWA accreditation. #Have Experience of civil works in the utilities sector, preferably on the telecommunications network. #Must have the ability to identify risks and introduce sufficient controls to manage risk. #Flexibility to undertake works outside core working hours. 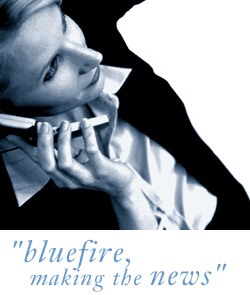 Bluefire Consulting is an agency working on behalf of the client company.